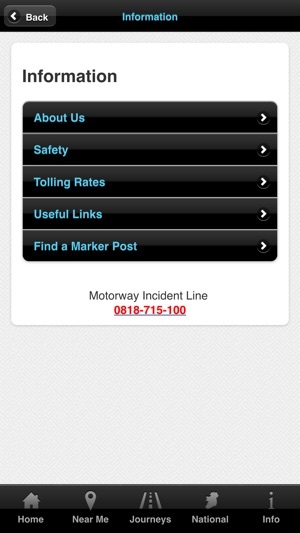 Save your most travelled routes in Ireland for quick access to official TII Traffic information. Plan your journey in advance and avoid any traffic troubles that may be on your route. Look-up live CCTVs, real-time information from Irelands weather stations, and keep up with the latest updates on twitter. 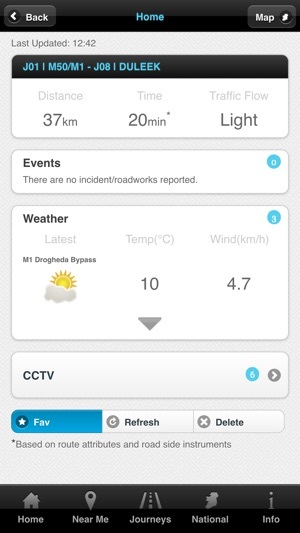 The app offers official traffic information from TII Traffic that includes live CCTV images, incidents, road-works, Variable Message Signage, and local weather reports. The information displayed can be at a national level, local level, or junction to junction specific, either through maps or an intuitive list view. Get real-time travel times and traffic flow status. Define commuting, or often travelled, routes through a map interface or search the apps junction database. 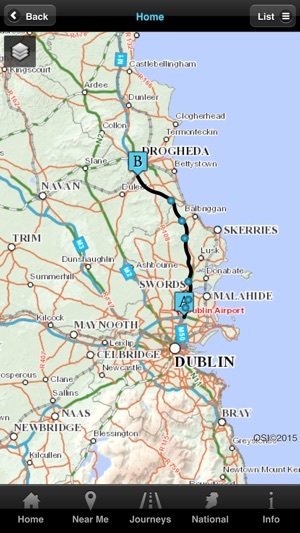 Select CCTV images along a selected route, or across Ireland, and see live traffic flow. Find road-works or unplanned road incidents that may affect travel plans. Identify current weather and road conditions to avoid poor driving conditions. Display three favourite routes on the homepage for a quick visual access to a routes status. Access tweets from the TII Traffic's twitter account. 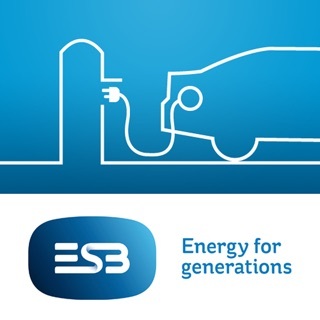 Please note: this app only contains information concerning the road network managed by the TII in the Republic of Ireland. National tertiary and some national secondary roads will not have the full range of instruments that are available on national primary roads. Tried it on by chance as I was looking for updates on the m50. Didn't really see any news about the 8mile m50 parking lane I was stuck on. So no good there. The app is old too, like ios5 design. The other features of the app are useless too. My regular commute saved. Twice now, I've been able to avoid accidents before I got near the motorway, does what it says on the tin. Huge performance improvement from previous releases... It's a pleasure to use again. Good work.